Why Hire a Personal Injury Lawyer for Your Auto Accident Injury Case? Reasons To Hire A Car Accident Lawyer – Being in a car accident can be a very traumatic experience. An accident can also cost you a great deal of money. For starters, there is the damage to your vehicle. Next, if you were injured, you can have extensive medical bills. If the injuries were serious, you may need to take time out of work until you heal. 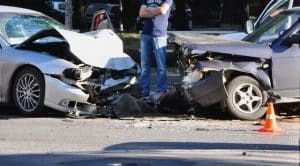 If you were involved in a vehicle collision and it was not your fault, you should seek the help of a car accident lawyer. There are several Reasons To Hire A Car Accident Lawyer and why they can help you. When you hire a vehicle crash attorney, they will evaluate the circumstances surrounding the accident to determine whether or not you have a case. They will review the reports from the doctors, the accident and police reports, and any witness statements. This information gives the lawyer the information that they need to decide if they should pursue the case. After an accident, the responsible party will often contact their insurance company right away. After the initial report is made, the insurance company will likely reach out to you to offer you a settlement. This offer is usually made before you even know the extent of your injuries. Also, the amount of money that they offer will be much less than what you actually deserve. When you hire a vehicle accident lawyer, they will contact the insurance company to let them know that you have representation. From that point on, the insurance company will negotiate with your attorney. They will work together to try to come up with a fair settlement. Because you have someone handling the negotiations on your behalf, you can concentrate on getting better rather than dealing with a pushy insurance agent. 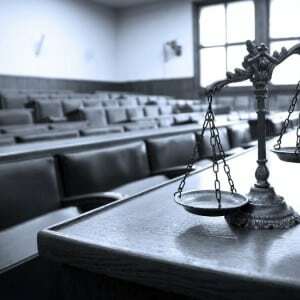 If your attorney and the responsible party’s insurance company were not able to agree upon a settlement, the case would go to court before a judge and a jury. Your lawyer would compile all of the information and evidence surrounding the case to build the strongest case possible. Your auto crash attorney would take the case that they built and present it to the court. They would show the court the injuries that you sustained in the accident and present information from the doctors who treated you. They will present an estimate of the damages to your vehicle and the amount of money that you lost by being out of work. Your attorney would question witnesses on your behalf, and cross examine witnesses for the insurance company. They would present the strongest case possible to ensure that you are given the compensation that you deserve. The best part about hiring a car accident lawyer is that they charge on a contingency basis. This means that if you don’t win in court, you would not owe them anything. Because you may be unable to work due to your injuries, you may not have any money to pay a lawyer. The contingency payments can make hiring a lawyer possible. If you are in an accident that is due to the fault of another person, you should not be held responsible for the financial repercussions that resulted from the accident. There is also a great deal of pain and suffering that goes along with the injuries sustained in the accident. When you hire a car accident attorney, they will make sure that you are awarded enough money to cover the cost of your medical bills, the damage to your vehicle, the time you missed from work, and an award for pain and suffering. After reading this article 4 Reasons To Hire A Car Accident Lawyer. 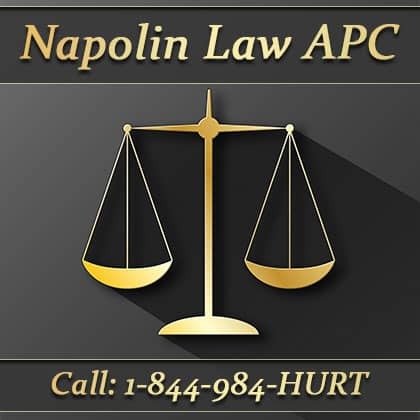 If you feel you may have a case or have recently been in a car accident in Southern California. Contact our law offices at: 1-909-325-6032 – We are here to help, every step of the way.